India’s defence pensions have ballooned by 50% and the capital outlay has been slashed, with the Seventh Pay Commission’s fiscal impact looming large. 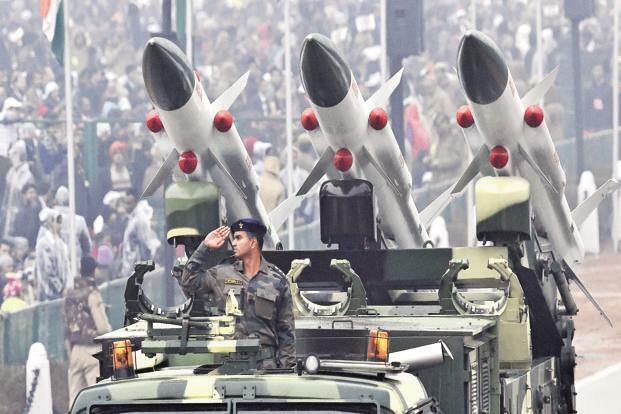 Developments over the last year have come with profound implications for India’s defence budget. However, finance minister Arun Jaitley did not bring up defence spending in his budget speech. After a protracted crisis over One-Rank-One-Pension (OROP) for the armed forces, the government acceded to defence personnel demands, with some exceptions. Uncertainty has continued to plague India’s Rafale deal with France, and some green signals were given to the Indian army to raise an 80,000-strong mountain strike corps. The Seventh Pay Commission also imposes higher personnel costs, which affects the Indian army more than the other two services. Overall, the defence budget estimate for 2016-17 is Rs3.4 trillion, about 10% more than the previous year’s budget estimate. This is broadly consistent with past increases. However, what makes up this net increase is a radical departure from the past. Thanks to OROP, the defence pensions budget has gone up by a whopping Rs27,800 crore from the previous year—a full 50% increase. This increase is just Rs2,000 crore short of the increase in the overall defence budget, making one wonder if all other expenditure increases have been frozen. There is an accounting change this year which complicates the analysis, where it turns out the traditional defence demand for grants numbers 21 to 28 have been consolidated from eight items to four, numbered 20 to 23 in the FY16 budget. It turns out that the armed forces’ revenue expenditure has gone up but the capital outlay has been slashed in turn. Revenue expenditure has increased by about Rs11,000 crore this year, amounting to an 8.6% increase between budget estimates. This excludes pensions but includes allocations toward the salaries and allowances of both serving personnel and civilian support staff, as well as fuel, consumables and other miscellaneous costs. The Indian army has the lion’s share of the revenue expenses, as its force strength is about nine times that of the Indian Air Force and Navy combined. The strength of Israel's position in the Middle Easthas been the subject of a recent spate of articles. That strength is clear, for the moment. The question, however, is how durable it is. The current situation in Israel's vicinity indeed makes it appear that Israel has an enormous advantage, but a more careful reading of the situation shows its position to be more brittle than meets the eye. The argument of Israel's strong strategic position is persuasive. The joint Israeli-Egyptian hammerlock on Gaza has constrained operations by Hamas and weakened its authority to some extent. This has not markedly strengthened the Palestinian National Authority, which has its own problems holding together a fractious Palestinian community on the West Bank. The recent wave of knife attacks against Israelis does not threaten Israel's strategic position in any way. Egypt's peace treaty with Israel has proved to be among the most durable features of the region, even surviving the 2012-2013 government of Mohammed Morsi, led by the country's largest Islamist movement, the Muslim Brotherhood. The relationship goes beyond neutrality to a degree of collaboration against the major powers in the region. Jordan remains under Israel's strategic umbrella, an ally. Syria, which had been a major adversary of Israel, is so shattered by the civil war that, regardless of what emerges from the chaos, it will take at least a generation to recover. In Lebanon, Hezbollah has been severely weakened by its involvement in Syria, and is in no position to reopen conflict with Israel. The article ‘Attack Helicopters: Should India Have Them’ written by Gp Capt AG Bewoor and published in the Indian Defence Review, September issue has incorrect facts and is based on fallacious arguments and statements. National Security and Military Doctrines need to be looked at holistically. The threat of a two front war looms large today than ever before. In addition sub conventional conflict continues to engage the Indian Army in J & K and the North East supported by Pak and China respectively. 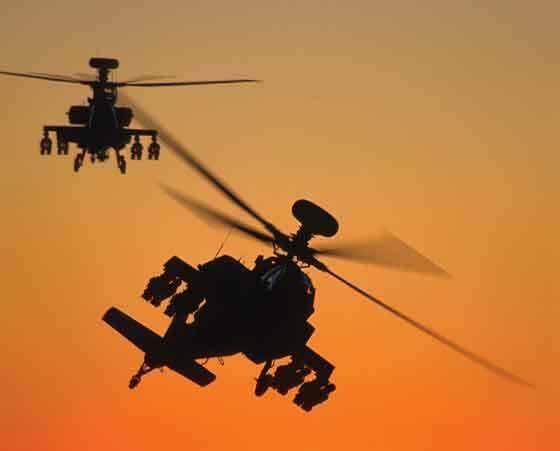 The following statement at the start of the article, “investment in additional attack helicopters will invariably lead the country into a weapons procurement minefield and endanger its security” – indicates of bias contrary to the idea of National Security and what it encompasses. National security is a multifaceted concept, encompassing internal and external security in a symbiotic relationship to safe guard a Nations national interests. National security of a modern state not only endeavors to safeguard its territorial integrity and national sovereignty but is also indispensable for the pursuit of economic and social development of its citizens by ensuring and sustaining a supportive internal and external environment. Poonch and its surroundings were formerly a part of a Hindu principality in the state of Jammu and Kashmir under Dogra rule. Its political importance to Pakistan lies in its large Muslim population with ethnic affinities with dwellers across the line of control, and its economic importance in its large tracts of fertile agricultural land. It was once a profitable recruiting ground for the British Indian Army. Having failed to capture it in the 1947 and 1965 wars,1 Pakistan had made this a prestige issue, and this led to a third attempt to annex it in 1971. Its capture would give access to the gullies over the Pir Panjal range for infiltration into Kashmir Valley and enlarge the adjoining Haji Pir bulge, already in Pakistani possession, right up to the Poonch river. The area is generally hilly and forested as it ascends the Pir Panjal range. The town and the valleys are about 900 metres above sea level, with mountain ridges rising to double this height, higher still nearer the range. Spurs run north to south from a ridge protruding from the Pir Panjal range. The old ceasefire line gave Pakistan the advantage of higher terrain to the extent that most of the area, including the airfield and parts of Poonch town, is overlooked from the Pakistani-held side. Most of the nullahs drain into the Poonch river, and prominent among them are Betar and Tanti-di-Tangar. The Betar irrigates agricultural tracts, works the turbines at Poonch power house and is the source of the town’s drinking water. The annual budget will be presented at the end of February and the manner in which India allocates fiscal resources for its military and related national security will come under brief scrutiny, even as the Indian army was deployed in Haryana to deal with what was essentially an internal, law and order situation which the local police and paramilitary forces were unable to control. This context is relevant for the institution of the Indian military which is sustained by the annual defence budget, which is not only significantly small when compared to that of other burgeoning powers like China, but which also is an often ignored entity in the national psyche. Despite the threadbare allocations made to it, the commendable professionalism and the apolitical nature of the Indian military have provided the much needed critical core for the trajectory of India’s democratic experience. When a Proud Community is Forced to seek OBC status ! 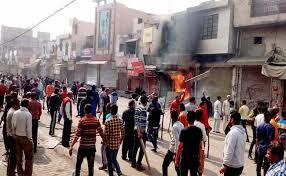 The nation was recently seized with the turmoil in Haryana due to an agitation by the Jat community of the state. The agitation took a violent turn to an unprecedented level. There was a tremendous loss of both life and property. The Jat community is demanding Other Backward Class (OBC) status and is frustrated enough to destroy its own state in pursuance of this demand. The Jat community has an age old martial tradition that it is proud of. It has served the British Indian Army and the Indian armed forces with distinction. 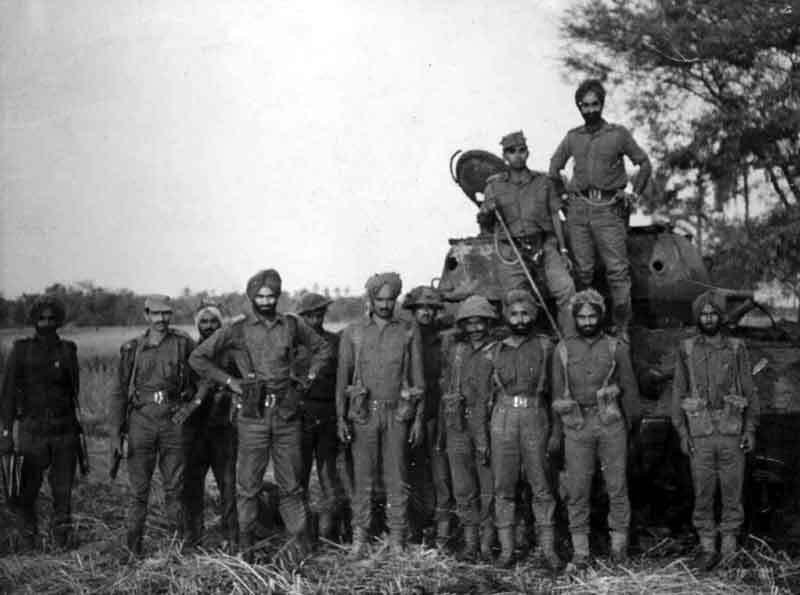 There used to be many villages in Haryana where the entire lot of men were soldiers sometimes serving in the same unit. …implies that the younger generation of the community is no longer ready to follow the path of their elders and join the noble profession of arms. Why then has this proud martial community been reduced to demanding OBC status? Obviously, to garner more reservations in government jobs which implies that the younger generation of the community is no longer ready to follow the path of their elders and join the noble profession of arms. The project for an Indigenous Aircraft Carrier took shape in 1979. Under the terms of the Indo–French MOU of 1988, an agreement was signed with DCN of France for assistance by its design group, STCAN, in the concept design of the Sea Control Ship (SCS) and for transfer of technology. 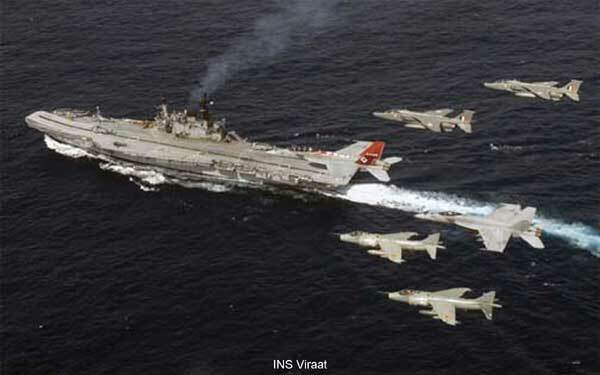 An Indian Naval Design and Liaison Team (INDLT) of Naval architects was deputed to DCN for participating in the design process, for ascertaining the major areas of design work to be entrusted to selected consultants during subsequent stages of design work, and to audit Cochin Shipyard for its capability to build the carrier. Under the terms of the Indo-French MOU of 1988, an agreement was signed with DCN of France for assistance by its design group, STCAN, in the concept design of the Sea Control Ship (SCS) and for transfer of technology. Grave tensions in Russo-Turkish relations serve as a timely reminder that great power tensions can spiral downward all too rapidly. Diplomats in Washington, Ankara, Moscow and throughout Europe should be concentrating on how to keep the “new Cold War” from going hot. The troubling escalation spiral in the Black Sea region has echoes in East Asia, of course, where Beijing and Washington have been attempting with only limited success to manage intensifying great-power competition for the last two decades. More than a few scholars have pointed out the importance of analogies in structuring elite perceptions and misperceptions concerning evolving rivalries. With the centenary of the First World War, a new research agenda has blossomed with bountiful comparisons between 1914 and the present era. In this column, I have made the case that it will be essential to try to understand Chinese perspectives on these analogies. Keeping the upcoming hundredth anniversary of the Jutland battle—the largest single naval engagement of World War I—close in mind, this edition of Dragon Eye will explore a Chinese analysis of the pre–World War I Anglo-German rivalry, and in particular the role of Berlin’s “big navy” [大海军] buildup in sparking the catastrophic bloodletting. TRIPOLI — Aircraft attacked a convoy carrying suspected Islamic State militants near the northwestern Libyan town of Bani Walid early on Sunday, an official said. No group claimed responsibility for the attack though both the United States and Libyan government forces have launched air strikes on jihadists in recent months. Three huge explosions rocked the area around dawn, the member of Bani Walid’s municipal council told Reuters. People living in Ras al-Tbel, about 80 km (50 miles) south-east of Bani Walid, had seen the same convoy of up to 15 vehicles carrying the black flags of Islamic State over the past two days, the official added. It was not immediately clear if the convoy was hit. Jihadist groups have taken advantage of political chaos to expand their presence in Libya and fighters loyal to Islamic State have taken control of the coastal city of Sirte, about 260km (160 miles) east of Bani Walid. U.S. aircraft attacked a suspected Islamic State training camp on the outskirts of the western Libyan city of Sabratha this month, and launched two more air strikes against jihadist commanders in Libya last year. BAGHDAD — Iraqi security forces repelled an attack by Islamic State militants on the capital’s western suburb of Abu Ghraib on Sunday, officials said. Three suicide car bombers struck a security force barracks as gunmen opened fire, according to two police officers. At least eight government and paramilitary forces were killed and 22 wounded, they added. The clashes left a silo on fire, they said. A medical official confirmed the casualty figures. All officials spoke on condition of anonymity as they were not authorized to release information. The commander of military operations in western Baghdad, Maj. Gen Saad Harbiya, said the situation is “under control” and a local curfew has been imposed. Abu Ghraib, about 18 miles (29 kilometers) from downtown Baghdad, is the location of a prison of the same name where U.S. troops committed notorious abuses against Iraqi detainees following the 2003 invasion. It is halfway between Baghdad and Fallujah, which is controlled by the IS group. Security forces prevented IS from seizing Abu Ghraib when the extremists swept across northern and western Iraq in the summer of 2014. - Judicial interceptions ordered by a judge of inquiry (juge d'instruction) during a criminal investigation. These interceptions can be done by the police, thegendarmerie (a military force charged with police duties) and by the security service DGSI. North Korea has conducted four nuclear tests, pushed boundaries with its missile tests, is pursuing second strike capabilities, and shows no indication of slowing down. South Korea in response has made a strategic bet that closing the Kaesong Industrial Complex can help to create leverage internationally to convince Pyongyang to abandon its nuclear ambitions, but some in Seoul andWashington are suggesting that South Korea should consider developing its own nuclear umbrella as leverage in talks with North Korea. However, this would be much more difficult than proponents generally acknowledge. Since abandoning its own pursuit of nuclear weapons in the 1970s, South Korea has relied on United States nuclear umbrella for extended deterrence to prevent either a large scale invasion by the North or a nuclear attack. However, as North Korea continues to advance its nuclear and missile programs in spite of the international sanctions, it is understandable that experts and policy makers would look for new ways of deterring North Korea and incentivizing it to roll back its nuclear weapons and missile programs. The oil bust will deepen before prices skyrocket. Even wilder swings lie ahead. Summary: The great struggle to manage or even control oil prices again dominates the world economy and the news headlines. Yet even the basics are poorly understood, cloaked in myths and misunderstandings. Here is a quick sketch of how the oil boom brought us here, how the bust will end, who will win, and what comes next. What’s happening with the oil markets? Oil has gone from $150 to $30, and some experts say it will drop to $15. Just as in the previous cycle it crashed to $10 (the low) and experts predicted it would go to $5. Both cycles ended, as commodity cycles usually do, with massive excess production. Now oil “producers” (i.e., miners) and their creditors must decide how to reduce output and raise prices so that most of them are profitable. Note: the term used here is “oil”, but the numbers shown are for liquid fuels: crude oil (which includes that from oil sands and lease condensate), petroleum broadly defined (natural gas plant liquids and shale oil), and other liquids (from coal, gas, and plants). Over time different liquid fuels gain competitive advantage; we need not fetishize crude oil. MOSCOW — The partial truce that Russia and the United States have thrashed out in Syria capped something of a foreign policy trifecta for President Vladimir V. Putin, with the Kremlin strong-arming itself into a pivotal role in the Middle East, Ukraine floundering and the European Union developing cracks like a badly glazed pot. Beyond what could well be a high point for Mr. Putin, however, lingering questions about Russia’s endgame arise in all three directions. In Syria, Russia achieved its main goal of shoring up the government of President Bashar al-Assad, long the Kremlin’s foremost Arab ally. Yet its ultimate objectives remain murky, not least navigating a graceful exit from the messy conflict. International hotels are alluring targets for attack by terrorists. By their nature, hotels are quintessential soft targets, crowded with people. In addition, their fixed locations and daily business activity create a perfect cover for preoperational surveillance. Extensive traffic - both human and vehicular - inside and around a hotel's buildings also creates a significant burden for hotel security. The announcement on Feb. 22 of a thwarted plot against a hotel in Morocco, coupled with recent warnings of possible plots against hotels in Senegal, Chad and Ivory Coast, are timely reminders of the threat of attack. Given this, it is important to not only understand why hotels are targeted but to review steps that travelers can take to mitigate the risk of being caught up in a hostile action. The terrorist threat to hotels is not new, and neither is the threat posed specifically by jihadists. In fact, the first al Qaeda attacks to target U.S. interests were the December 1992 twin bombings of the Gold Mihor and Movenpick hotels. The attacks were directed against U.S. military personnel stationed in Aden, Yemen, and I was sent to investigate. The United States will have to rebuild its capacity to counter Russia’s electronic warfare expertise in Europe. Electronic warfare—like much of America’s conventional warfighting capabilities—has been severely neglected during the twenty-five-year lull since the end of the Cold War. Moreover, for nearly fifteen years, the United States has been focused on counter-insurgency warfare in the Middle East rather than preparing for war against another great power. Urban tactical environments present diverse challenges and one of the more prominent issues is communications. Communications that could be easy in other operational environments become remarkably more challenging in urban terrain. Specifically, communications in subterranean structures have challenges unseen in other environments. Additionally, the uniqueness of superterranean structures also implicates communications challenges for urban operators. Subterranean communications are the most difficult urban communications because of the issues with radio and other signal blocking. Subterranean environments are nearly all man made, and as a prerequisite have to contain some sort of physical support structure in order to prevent any sort of collapse. Such structural supports create networks of open spaces within larger solid slabs of earth. These webs block signal communications, making it difficult for operators to communicate within that environment, similar to losing cellular signal in a tunnel for example. This issue is not solely military, where small units may be clearing insurgents from underground tunnels for example. Subterranean communication issues also impact the civilian sector, such as miners extracting from deep deposits, firefighters and policeman performing rescue operations in sewer system, and even construction crews building subway systems. WASHINGTON — The U.S. military has launched a newly aggressive campaign of cyberattacks against Islamic State militants, targeting the group’s abilities to use social media and the Internet to recruit fighters and inspire followers, U.S. officials told The Associated Press. The surge of computer-based military operations by U.S. Cyber Command began shortly after Defense Secretary Ash Carter prodded commanders at Fort Meade, Maryland, last month to ramp up the fight against the Islamic State group on the cyber front. U.S. officials confirmed that operations launched out of Fort Meade have focused on disrupting the group’s online activities. The officials said the effort is getting under way as operators try a range of attacks to see what works and what doesn’t. They declined to discuss details, other than to say that the attacks include efforts to prevent the group from distributing propaganda, videos, or other types of recruiting and messaging on social media sites such as Twitter, and across the Internet in general. Other attacks could include attempts to stop insurgents from conducting financial or logistical transactions online. Several U.S. officials spoke about the cyber campaign on condition of anonymity because they were not authorized to discuss it publicly. Much of the effort is classified. Senior Chief Special Warfare Operator Edward Byers is just looking forward to getting back to work. On Monday, the 36-year-old SEAL will receive the Medal of Honor, the nation's highest military award, for his role in the daring 2012 hostage rescue of an American aid worker, Dr. Dilip Joseph, in Afghanistan. But don't expect him to rest on those laurels. 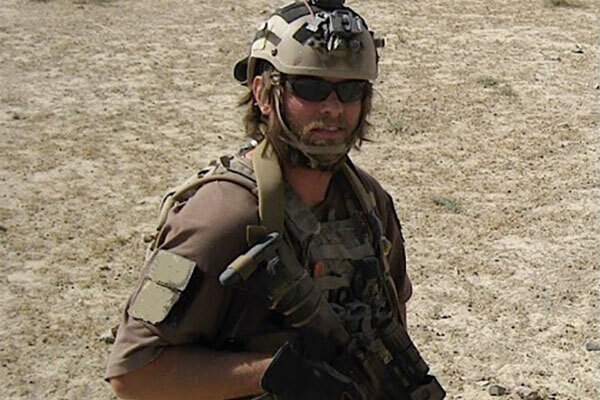 In a Feb. 25 interview with Military.com, Byers said he has no intention of drawing his 17-year military career to a close, and may choose to stay on in the special warfare community even after he reaches the 20-year retirement threshold in 2018. "As long as I continue to enjoy my job, I'm going to continue doing it," he said. "I love my job now; it's the greatest job in the world." Byers spoke publicly this month for the first time about the events that earned him the Medal of Honor. Until recently, even the language on his award citation had been withheld from public release. What’s next? Will U.S. troops head back to Iraq? Reinforce in Afghanistan? Join an international peacekeeping force in Libya? We'll see. Meanwhile, we can be sure of seeing at least one thing in the future: a flood of literary reminiscences and dramatizations that try to make sense of the last decade's series of military campaigns in far-off theaters. One book—War from the Ground Up: Twenty-First Century Combat as Politics (2012)—has already impacted military thinking on future fighting. Penned by Emile Simpson, a youngish former British infantry officer, the book draws heavily on his experiences in three combat tours in Southern Afghanistan and other overseas deployments. War from the Ground Up offers prescriptions for managing military force in messy places. Sadly, Simpson's solutions, though well-intended, are seriously misguided. The temperature in Trondheim, Norway, may climb to around the 20 degrees Fahrenheit, but that's cold enough to throw Marine units used to training in the North Carolina heat off their game. Some 1,900 Marines with Camp Lejeune's 2nd Marine Expeditionary Brigade and other units are now preparing for a nine-day live-fire exercise designed to test their ability to operate in the cold and snow. Known as Cold Response, the exercise is an annual challenge that is notable this year for its sheer size: In all, 16,000 troops from 15 different countries are set to participate. The commanding officer of 2nd MEB, Col. Will Bentley, told Military.com a comparable-sized force had not assembled in the region for an exercise since 1995. 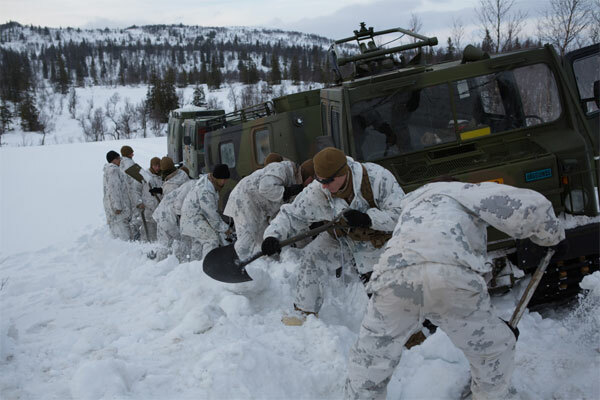 For the Marines, the exercise serves a dual purpose: In addition to training with allies and counterparts, the Norway deployment gives them the opportunity to inspect military gear stowed away in climate-controlled caves, waiting for the next mission on this side of the world. Concerns over the rise of Islamist extremism in India have been steadily growing, a trend that is reflected in the Centre on Religion & Geopolitics' Global Extremism Monitor for January 2016. In a matter of months, the Indian government appears to have travelled a long way, fromplaying down the ISIS' influence on its Muslim population, to actively pursuing the outfit's sympathisers in the country. In January 2016, around 20 men were arrested in several locations for planning to carry out terror attacks on behalf of the group. Joint collaborative efforts with Gulf countries, especially the UAE, have further resulted in the deportation of a number of Indian nationals who were subsequently arrested. And yet there are no visible signs that suggest the incumbent Bharatiya Janata Party (BJP) government has been able to grasp the threat of religious extremism, some of which is externally inspired and funded, but a major part, clearly homegrown. The January 2016 arrests of ISIS sympathisers, and those several other men belonging to al-Qaeda in the Indian Subcontinent (AQIS) in December 2015 from Delhi, Odisha, and Uttar Pradesh, were projected as part of India's continuing success against global terror outfits. However, the landscape of religious extremism in India continues to be a source of serious concern, and the profile of those arrested points to an expanding threat, a development affirmed by the findings of the Centre on Religion & Geopolitics' Global Extremism Monitor for January 2016. The Battle of 73 Easting (a north-south grid line on the map) was one of many fights in Desert Storm. Each of those battles was different. Individual and unit experiences in the same battle often vary widely. The tactics that Army units use to fight future battles will vary considerably from those employed in Desert Storm. Harbingers of future armed conflict such as Russia’s invasion of Ukraine, ISIS’s establishment of a terrorist proto-state and growing transnational reach, Iran’s pursuit of long range ballistic missiles, Syria’s use of chemical weapons and barrel bombs to commit mass murder against its citizens, the Taliban’s evolving insurgency in Afghanistan and Pakistan, North Korea’s growing nuclear arsenal and that regime’s erratic behavior all indicate that Army forces must be prepared to fight and win against a wide range of enemies, in complex environments, and under a broad range of conditions. 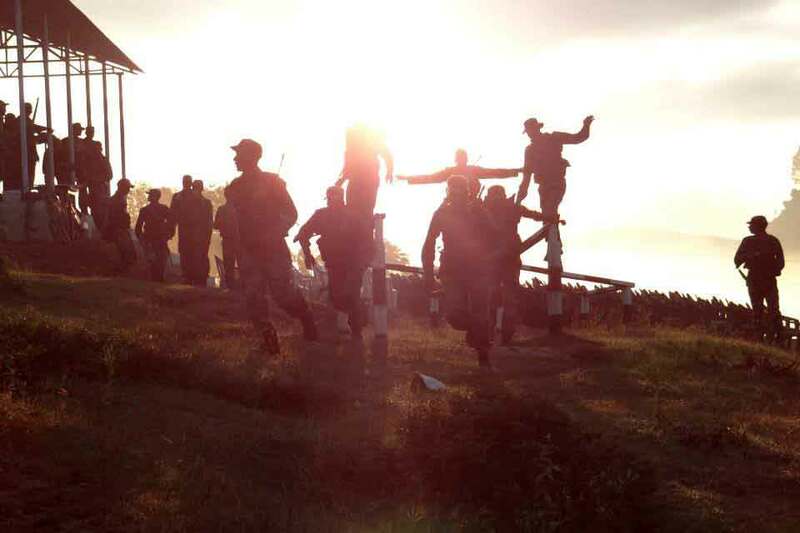 There are, however, general lessons and observations from combat experiences that apply at the tactical level across a range of enemies and battlefield conditions. The purpose of this essay is to reflect on the experience of Eagle Troop, Second Squadron, Second Armored Cavalry Regiment twenty-five years ago during Operation Desert Storm to identify enduring keys to success in battle. Reshaping, or even deleting, some of the four-star headquarters that run America’s military operations around the world could be part of broader Defense Department reforms. Congress may reshape — or even close — some of the Pentagon’s combatant commands, the four-star headquarters that oversee military activities in all corners of the world, the Senate Armed Services Committee chairman said Thursday. Sen. John McCain, R-Ariz., said his panel would look at combatant command responsibilities when it considers broader Defense Department reforms this year. “We need to figure out whether we need the ones that we have,” McCain said at a Defense Writers Group breakfast. The U.S. Defense Department plans to announce potentially sweeping changes to its officer promotion system "in coming months," the top official said. Defense Secretary Ashton Carter on Thursday referenced the reforms during a Senate Appropriations Defense Subcommittee hearing on the Pentagon's proposed budget for fiscal 2017, which begins Oct. 1. "We're taking a serious look at some commonsense reforms in our officer promotion system and I greatly appreciate congressional leaders from both parties who have indicated their support for such reforms in principle," he said in his prepared remarks. The changes are part of an overhaul of the personnel system known as the "Force of the Future" initiative, which is being led by Deputy Defense Secretary Bob Work and Vice Chairman of the Joint Chiefs of Staff Air Force Gen. Paul Selva, who are working with the service chiefs. A recent report from The Stockholm International Peace Research Institute (SIPRI) revealed that global arms exports in the last five years are up 14 percent on the five years before that. India was the world's largest arms importer between 2011 and 2015 with a 14 percent share of the market. Saudi Arabia was second and China was third. This chart shows the top arms exporters and importers from 2011 to 2015.